Sonnet Thunderbolt Pro P2, è un card reader in grado di trasferire il girato di Panasonic P2 HD, P2 VariCam® Camcorder dalle card P2 a 70 MB/s. Thunderbolt™ Pro P2 Memory Card Reader Designed for Ingesting Panasonic P2 HD, P2 VariCam® Camcorder Video and Metadata. Sonnet Thunderbolt Pro P2, un card reader da abbinare tipicamente a videocamere high-end, in grado di trasferire il girato delle card P2 a 70 MB/s (il doppio rispetto a quanto consentito da soluzioni simili per porta USB). Alcune videocamere offrono uno o due slot P2. Questi supporti sono commercializzati da Panasonic dal 2004 e sono ora disponibili in “tagli” di diversi GB..
Il reader Thunderbolt Pro P2 si alimenta direttamente dal bus e potrà essere collegato a qualsiasi Mac con porta Thunderbolt o in cascata ad altri dispositivi con tale tecnologia; sono supportate tutte le card P2 e frame rate alla massima velocità, e anche le card micro P2 sfruttando un adattatore. Sonnet’s Thunderbolt Pro P2 Card Reader quickly transfers files from Panasonic P2 memory cards to your computer with Thunderbolt ports on location, in the studio, or in the edit suite. This single-slot reader’s ability to transfer data from P2 cards at much higher speeds than USB 2.0 card readers are capable makes for a significantly more convenient and efficient workflow. Its value price makes it the most cost-effective P2 card reader available! The Thunderbolt Pro P2 Card Reader can ingest files from P2 memory cards up to four times as fast as other single-slot card readers. Requiring only a single cable to connect to your computer, this high-performance Sonnet reader is bus powered (no separate power supply required) and exploits its 10Gbps Thunderbolt interface to deliver superior performance with Thunderbolt 2 and Thunderbolt port-equipped computers. As a result, this memory card reader transfers data at up to 70 MB/s. 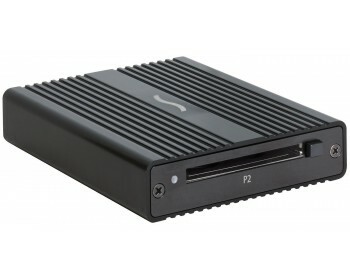 The Thunderbolt Pro P2 Card Reader is compatible with any Mac with a Thunderbolt port, and connects directly to your computer or at the end of a Thunderbolt device chain. 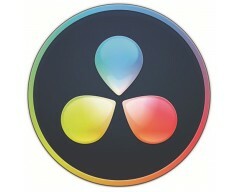 The reader supports all P2 memory cards and frame rates, and supports microP2 cards with an adapter (sold separately).